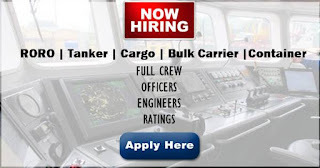 SEAMAN JOB INFO - Posted/Mar/2019 CROSSWORLD MARINE SERVICES, INC. 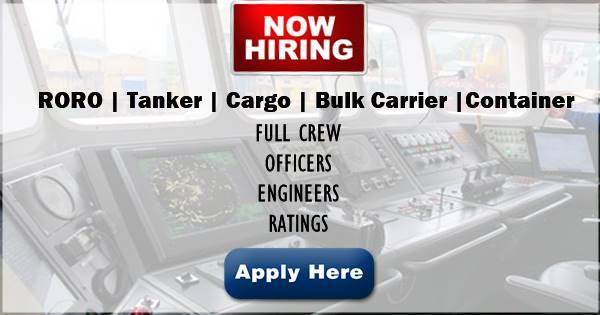 Opening careers for Filipino seafarers crew working onboard in Bulk, RORO, Tanker, Container Vessels deployment April 2019. Since our establishment in 1991, with just over 25 vessels in our manned fleet, “Crossworld” has been continually gaining market share and experience. In March 2004 a change in our management style substantially reinforced our skills and expertise and became the springboard for the rapid expansion we have experienced since then. Our manned fleet is now in excess of 230 vessels under a large number of distinguished principals. 0 Response to "Urgent Crew For Bulk, RORO, Tanker, Container Vessels (Philippines)"